Listen to what the Douay Rheims Commentary says concerning this "little", (no pun intended) verse in the book of the Song of Solomon. "Christ commands his pastors to catch false teachers, by holding forth their fallacy and erroneous doctrine, which like foxes would bite and destroy the vines." These False Teachers that the pastors were to catch were not big foxes. They were little ones. 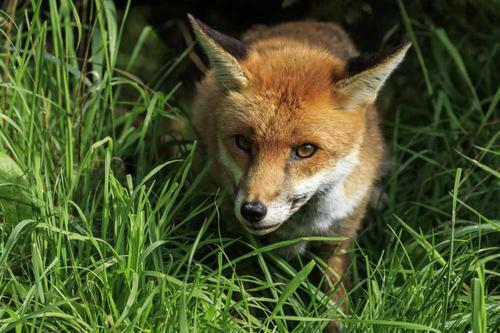 Our priests over time have let the little foxes get into the vineyards! After St. Timothy gives his list of the "little foxes" he describes how they get in. (vs 6) "For of these sort are they who creep into houses," They creep in. They sneak in a "little" at a time. I have been reading books on preaching from great saints like St. Alphonsus, St. Francis de Sales and others. And they all seem to be in agreement. The majority of the preachers of their times were not preaching against sin. Or if they were, it was flowery speeches that many thought sounded great but had no clue what the preacher said. In other words there was strong need in their time for Preachers that spoke simple and spoke directly against sin, against the teaching of false teachers, against the little foxes. Time has past. Today we are seeing the BIG foxes in the Church. Clergy denying old time doctrines of the Church that has always been taught. But do not let anyone fool you. The Big Foxes did not barge in first. It was the little foxes that crept in. The sins of the people. The "Men who are lovers of themselves, covetous, haughty, proud, blasphemers, disobedient to parents, ungrateful, wicked, Without affection, without peace, slanderers, incontinent, unmerciful, without kindness, Traitors, stubborn, puffed up, and lovers of pleasures more than of God: Having an appearance indeed of godliness, but denying the power thereof." That is what made havock of the Church over the years and brought us to where we are now. The Preachers as a whole have not been doing there job catching these little foxes. In conclusion let me stop here and let St. Alphonsus do the speaking. "Oh, what a pity to see so many Lenten sermons preached in the villages, and so little fruit!....Oh, what universal benefit would flow from the Sunday sermons if preachers always addressed the people in plain and simple language! At Naples the Holy Sacrament is exposed every day in several churches, in particularly in those in which the devotion of the Forty Hours is performed. These churches are frequented by great numbers of the faithful, but particularly of the poor. How great would be the fruit of the sermons preached in these churches if the sacred orators adopted a popular style, instructing the people in the practice of the different virtues, in the practical method of preparing for Communion, in the manner of visiting the Blessed Sacrament and of making mental prayer, and of attending Mass, performing the other exercises of devotion? But are the discourses delivered in their churches of this description? No; the style is generally high and flowery, and therefore they are but little understood by the people." He goes on to say...."The best rule for preaching well is to love Jesus Christ fervently. For the preacher who loves Jesus Christ ascends the pulpit, not to gain applause, but to gains souls to Jesus Christ." God give us priests' who are not afraid to speak out against sin. Who are not afraid to speak out against false teachings. Who are willing to protect the vineyard. Who are willing to catch those little foxes!